Yann Hébert admits eating insects isn’t everyone’s cup of tea. But the fledgling entrepreneur is banking on the growing appetite of Quebecers for food products that contain cricket, mealworm and other edible bug ingredients. “It’s still a niche market but it’s growing quickly,” says Hébert, one of four partners in Mirabel-based Tottem Nutrition. “I think there is huge potential.” In early 2017, Hébert, a hail expert and insurance damage assessor in search of a new career, partnered with Claude Girard, a chef and herbalist who does culinary research using natural ingredients. 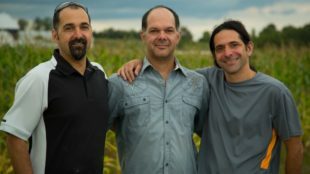 The pair began making and marketing small batches of two kind of insect pasta shells in a rented space at the non-profit Centre de recherche agroalimentaire de Mirabel, or CRAM. Tottem’s so-called entomopastas (named for entomology, the scientific study of insects) are made with a mix of organic wheat, buckwheat and kamut flours, gluten flour and mealworm and cricket powder supplied by Norwood, Ont.-based Entomo Farms, a global leader in the cultivation of cricket flour, cricket powder and insect protein. The entomopastas come in 190- and 95-g packages that respectively contain 18 per cent and seven per cent insect ingredients. The two pastas, which retail for $6.75 and $3.75, also deliver a whopping 32 g and 24 g of protein respectively per serving, with two servings per bag. Hébert credits that protein punch, together with the pastas’ high levels of recommended daily doses of fibre and iron, for brisk sales among health- and exercise-conscious consumers, as well as the culinary curious, at farmers’ markets, health food stores, in bulk sales and at other food venues over the past year. 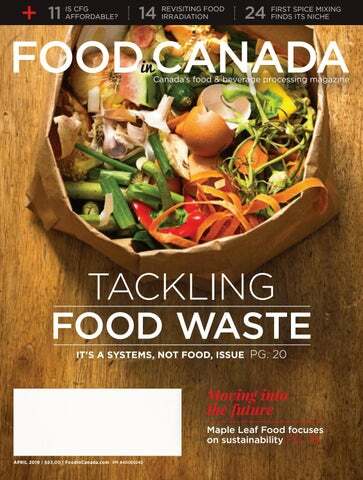 In an effort to keep pace with growing interest and demand in insect-based foods, Tottem recently added two new partners – Brenda Plant, a sustainability and management consultant, and Céline Comeau, a seasoned foodservice expert with an interest in environmental causes. The company has also added a third product, an entomopowder made from a blend of insect and carob powders, and is currently undergoing a rebranding of its mission, objectives and products. Tottem is the latest of a handful of small Quebec companies that are trying to capitalize on the mostly environmental benefits that come from consuming insects. Various studies over the past decade have highlighted the many environmental and even public health advantages of farming protein-rich insects, rather than traditional livestock like cows and pigs, which produce massive amounts of greenhouse gases (GHG) and ammonia. In addition to reducing livestock-related problems, edible insects are also reported to be superior sources of proteins and minerals. Two silk-moth larvae, for example, deliver 10 times the iron than 100 g of beef. The same 100 g of various insects – including crickets, red ants and grasshoppers – have similar amounts of protein as meats but less artery-clogging fats and fewer calories. Some edible insects are also purported to contain health-boosting proteins like chitin, which sparks the growth of good bacteria in people’s stomachs. According to various sources, nearly 2,000 species of insects are consumed either whole or as ingredients in foods by roughly 80 per cent of the world’s population. Those insects are mostly consumed in Asia, Africa and Latin America. 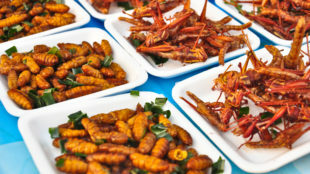 A 2016 report by Persistence Market Research (PMR), a New York-based market research company, found the global market for edible insects is expected to increase to US$722.9 million by the end of 2024, up from US$423.8 million in 2016, with the expected CAGR (compound annual growth rate) for market expansion at around 6.1 per cent. The report also predicted growth both in terms of edible insects as a whole and as a ground-up ingredient in other food products, notably drinks, confectionery, snacks and baked products. 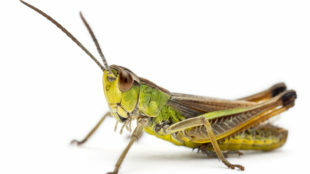 Crickets, grasshoppers and locusts are also considered the best bets for mass consumption. 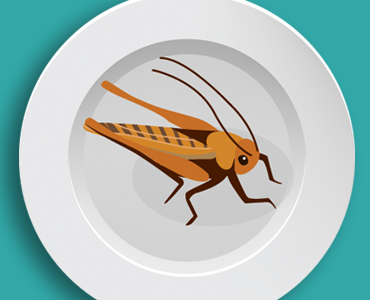 The edible insect industry is not yet hopping in Canada, however. 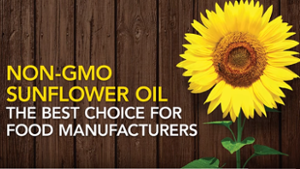 Apart from Entomo Farms, there are no large growers. Similarly, there are only a few makers of insect-based products. In Quebec, the best-known company in the field is Naak. Founded in late 2016 by Minh-Anh Pham and William Walcker and initially financed through a crowdfunding campaign on their company’s edgy-named website, tabarrenaak.com, the company makes a half-dozen cricket-based protein bars, bites and powders for extreme athletes and fitness enthusiasts. Popular on social media, the company began producing industrially (mostly for export to the American market) a year ago, when the partners appeared on “Dans l’œil du dragon,” the French-Canada version of Dragon’s Den, where they made deals with show stars Martin-Luc Archambault and Caroline Néron. Another Quebec food company that makes and sells edible insect products is Gourmex. Founded in Montreal in 2012 by Emilio and Sophie Hernandez, the company produces Mexican-inspired specialities like dried grasshoppers with chipotle, roasted crickets and cactus larvae salt. Hébert says he and his partners plan to focus Tottem’s activities on products made with mealworms, which he says have a nice nutty, almond taste, rather than crickets, which are more bitter and acidic. They notably plan to open the first mealworm farm in Quebec, likely in the fall. A pest for bakers and pastry-workers worldwide, mealworm larvae are born and live in flour. On mealworm farms, the flour is sifted every few days to remove eggs and frass. The worms are eventually harvested before they turn to pupa and adult beetles. “We’re hoping to produce four tons of mealworm powder a year, which is about 10 tons of worms,” says Hébert.